I have working inverse kinematic code in python for 3dof manipulator robotic arm. 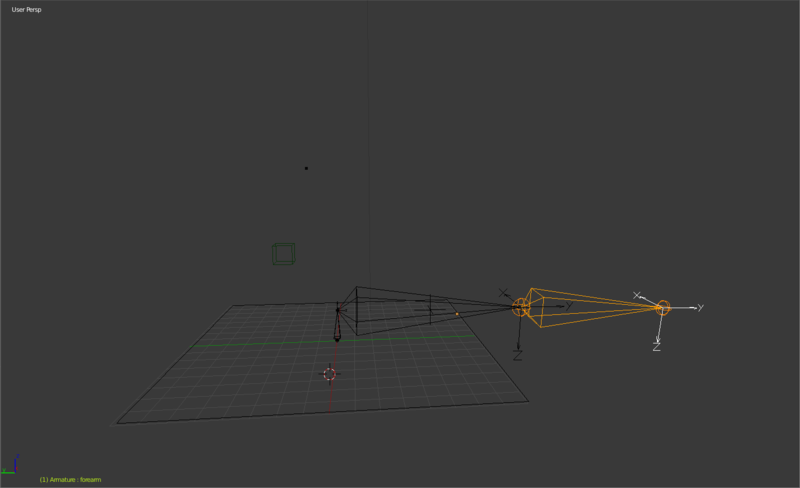 I am trying to model that robotic arm with bone in a blender. I have already written the python code to do it in the blender. As an object, I am using Cube to track it by bone. I am giving coordinate of Cube as the input of my inverse kinematics algorithm and then generate angles of each bone, but I am not understanding why my bone does not go to coordinate of Cube. can anyone please help me find the problem. I think maybe the problem would be in the coordinate system transformation. but I do not know how to solve it. Browse other questions tagged python bones inverse-kinematics or ask your own question. “child of” bone constraind with ik?